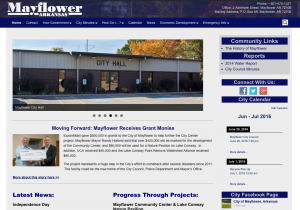 This city website shares pertinent information with its residents and the public. In a town of 2000 people, it’s not big enough for its own newspaper. This is a good example of how a site can start out small, but as content is added it becomes a portal of all information.